Another addition to our Scriptum range. The yellow papers with the script are actually ledger sheets from account books maintained in the 1980’s. Each Journal has a silk spine with ruled pages in mill made paper. 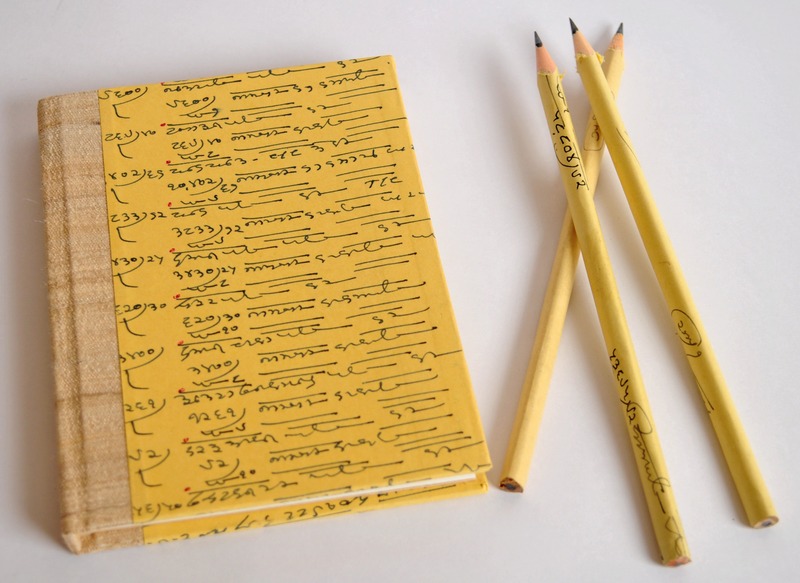 This entry was posted in Whats New and tagged Anand Prakash, Handmade Journal, Handmade Pencils, Indian Notebooks. Bookmark the permalink.